40 fun exercises help students take a quick break and return to their work refreshed and ready to learn. Each exercise is designed to get more oxygen and energy to students’ brains, improve their focus, and calm their nervous systems. The result: increased motivation, cooperation, and learning in the classroom. 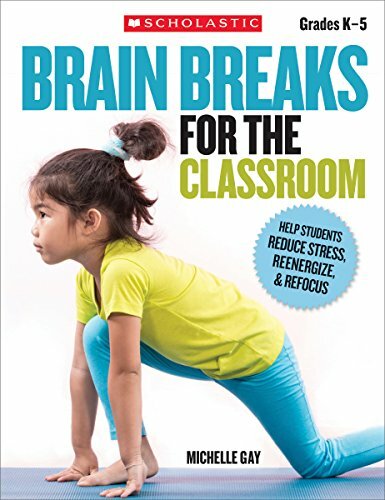 Includes a full-color poster with five easy moves all kids can do when they need a ""brain break""! For use with Grades K5. Give their brains a break or chance to refocus with these durable foam dice. Each features a prompt that'll have students rejuvenated in a jiffy. Features a variety of fun physical, educational and team-building activities including "Hop on your left foot - 30 seconds", "Sky-write all numbers 1 to 20", "30 second dance party" and "Find a partner and be a rock". Add these fun tools to your brain break station for a quick session with no teacher supervision required! Best of all, these foam dice don't make loud clacking noises and won't distract fellow students. 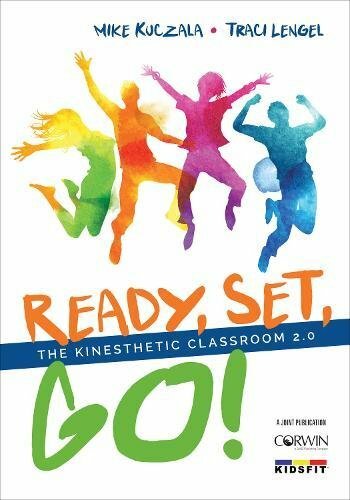 2 1/2"
Based on classroom experience, this easy to read book is perfect for the busy teacher who wants to laugh a little while learning the quickest way to incorporate movement in the classroom. She infuses humor while providing simple and quick examples that can make anyone feel successful! Stacey is an Action Based Learning Certified Trainer, with the first kinesthetic classroom in the nation. 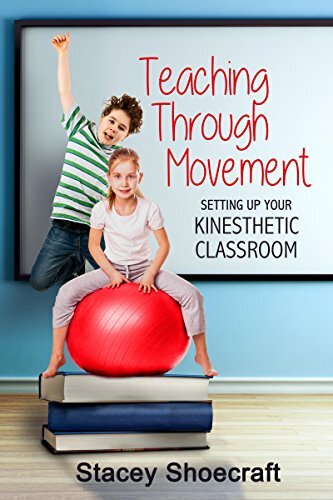 Her goal is to change today’s classroom into one that incorporates movement to enhance learning for all students. 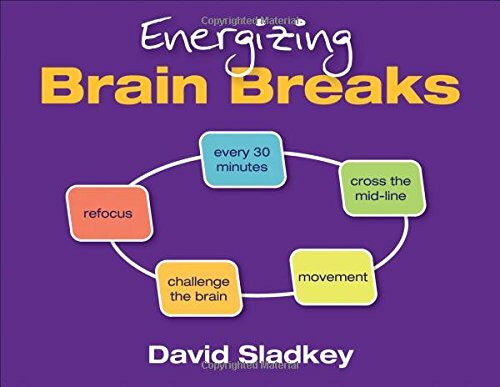 This book is a sequel to Dave Sladkey s popular Energizing Brain Breaks. Brain Breaks are quick 1-2 minute activities which will help you and/or your audiences become re-focused and re-energized. Each of the 50 new activities will challenge your brain and get your body moving. Energizing Brain Breaks 2 can be used at home, in the office, in a classroom or during a meeting. They can be used in almost any setting. 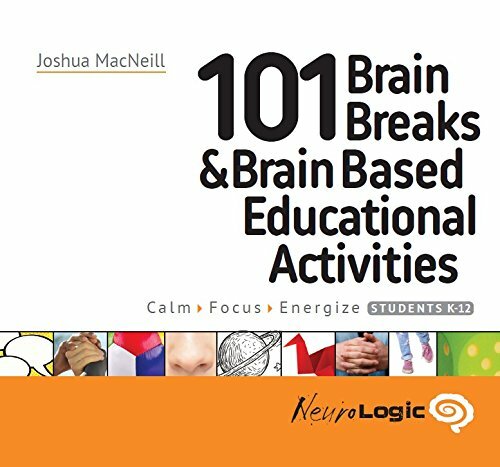 This book includes 16 Brain Breaks that can be done individually. 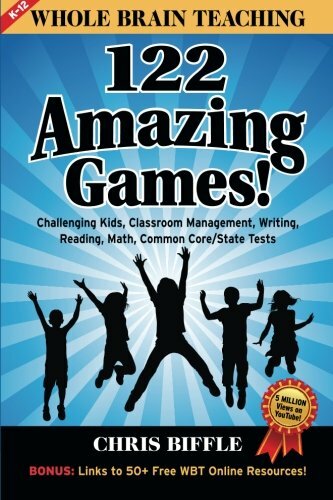 Also included are 24 partner Brain Breaks that are done with another person and include both competitive and non-competitive activities. Along with individual and partner activities there are 10 group Brain Break activities that promote team-building. 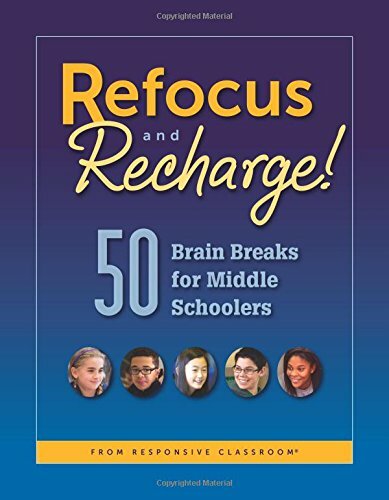 This book also includes Re-engagement Strategies to help you, your class, or your group transition and re-focus after participating in a Brain Break. If you would like to see an example of a brain break in action, visit engagedteaching.com. 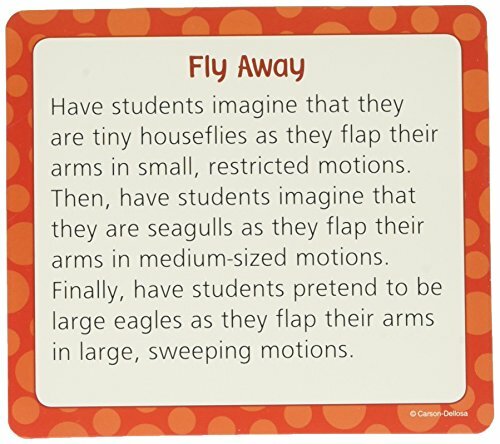 In two practical, teacher-friendly flip books, you’ll have all the tools you need to help your students remain sharp and alert while maximizing student involvement in the learning process. You’ll find pictures, directions, and online videos for fun and highly effective activities, as well as over sixty easy-to-implement strategies to measure student participation and guide lesson planning. Use these two flip-books together to create a positive classroom climate and individual student achievement! Create a Focused, Positive, and Engaged Classroom!Through expert guidance and inspiring stories from the field, Dave Beal helps you create a Brain Power Classroom full of engaged, focused and collaborative students.Part 1 provides scientific background, principles and insightful advice for creating an optimal classroom atmosphere. Part 2 features 30 classroom activities you can easily integrate into your current curriculum. 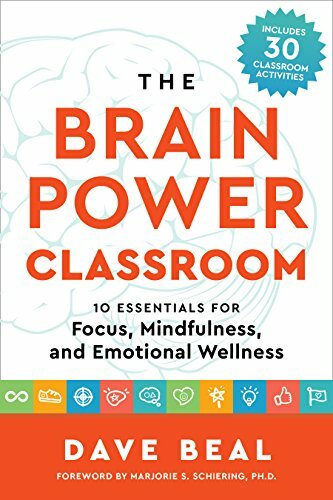 They are divided into the “Brain Power 10 Essentials” and incorporate various modalities, such as movement, mindfulness, and focusing strategies to engage students’ multiple intelligences.Using the tools in this book, you will be able to motivate your students to use their full brain potential as they develop into harmonious leaders with strong character and high levels of academic achievement.DAVE BEAL is the Program Directorand Head National Trainer for Brain Power Wellness. Dave was a New York City public elementary school teacher and has spent the last nine years training thousands of educators, administrators, parents, and students to use their full brain potential. He has led experiential sessions and lectures at the United Nations, and received praise and support from the NYC Chancellor of Schools. Jump start your Brain with the assorted, energizing, fresh, and fun Brain breaks: energize curriculum cut-outs! simple to implement in your classroom and helps students focus on the next learning activity! 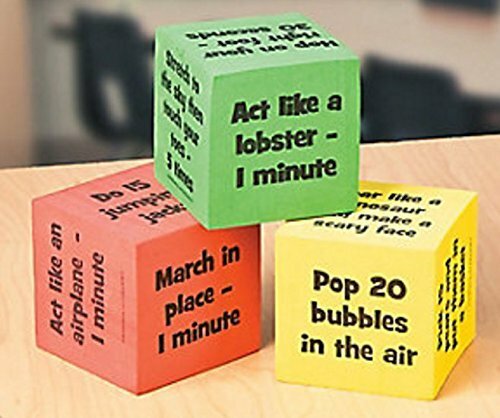 contemporary-designed Brain breaks curriculum cut-outs are perfect for transition times, refocusing students, as activities to start or end the day, to incorporate short breaks or physical movement throughout the day. 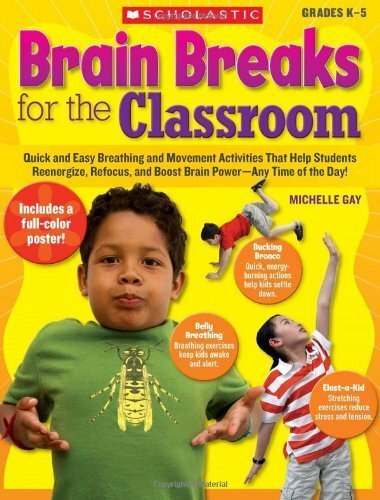 Each pack includes 36 Brain breaks. In line with Rob Plevin’s hugely popular "Needs-Focused Classroom Management System" for teachers, this book offers a huge range of ready-to-use activities, resources and ideas to start your lessons with a BANG and end them on a HIGH. 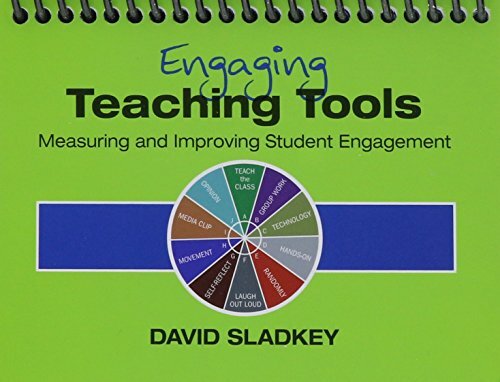 Adaptable for any subject area, the ideas and suggestions in this book will enable you to capture students’ interest and attention from the outset, increase engagement and encourage participation among even the most reluctant learners. You’ll learn how to… - hook ALL your students from the moment your lesson begins, - set up exciting reviews to cement learning in a fun, memorable way, - minimise classroom management issues related to boredom and low engagement and turn your lessons into an enjoyable, positive learning experience for all concerned. Once you learn the Needs-Focused Classroom Management System, your classroom, your teaching and your students will be TRANSFORMED. Includes downloadable BONUS material and printable resources. Teaching is made easier when you have a fast-acting classroom management system that works. Rob Plevin believes any teacher can dramatically reduce classroom behaviour problems and achieve classroom management success by adopting this easy-to-follow 6-part plan adapted from his Needs-Focused approach to teaching & classroom management. 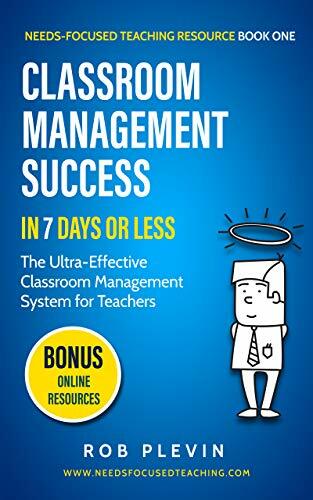 Enhanced with a suite of additional downloadable resources & videos, Classroom Management Success in 7 Days or Less provides teachers with a framework of fundamental preventive techniques and details a stepped process for successfully teaching and responding to students who have difficulty following instructions. If you’re a teacher facing hard-to-reach, tough groups of students who talk over you and won’t do as you ask, the ideas in this book will help you put in place a simple system for gaining respect, building positive teacher-student bonds, dealing with incidents and creating a calm, responsive classroom. All in 7 days or less!